As new Galaxy S8+ for $470 spotted on eBay! The Galaxy S8+ may be a year-old flagship, but it's still pretty relevant. For one, it looks quite a lot like the newer Galaxy S9+, secondly, its hardware and cameras are still top-notch. Well, sure, the Galaxy S8+ doesn't have a fancy pants dual camera module with Portrait Mode, a variable aperture, or Super Slow motion mode. But it still has some of the modern Samsung bells and whistles — the iris scanner, face unlock, shiny finish, wireless charging and the sorts. 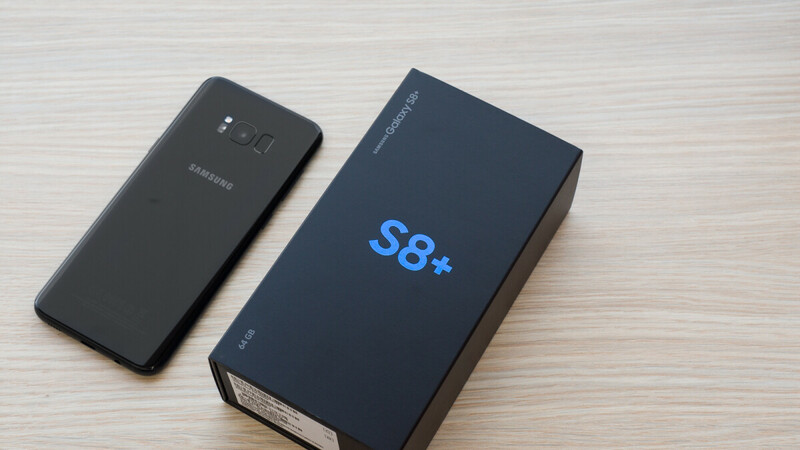 But enough raffle — you know what the S8 is and you are here to know more about the deal! Well, up on eBay, we have a listing for a number of Galaxy S8+ phones, described as "open box". More to the point, they are either store demos or store returns. This means they should be in as-new condition with the possibility of some very minor scratching. Despite the fact that they are "open box" items, you will still get the Samsung Fast Charger, USB cable, and headphones. As for carrier compatibility, you've got a huge list to choose from — unlocked, AT&T, Verizon, T-Mobile, Sprint, Boost, Cricket, and U.S. Cellular. As far as how that price compares — you can usually get a Galaxy S8+ in a refurbished state for that kind of money and probably without the proprietary accessories. So, is it a bargain? We'd say so! Is it a bargain? is it a scam? Who knows with eBay. In my experience you're best off staying well clear of mobile phones on eBay because the place is absolutely teeming with scammers. You'd probably receive a nice shiny new brick instead of a phone. And you would get your money back if you used PayPal which is the safest way to buy on ebay. So your assertion isn't really valid. Definitely worth the risk at that price. from my experience, ebay was great. they have ebay protection and you should buy it from reputable sellers. In my experience, Ebay has been great. But I am also careful. Read the item description carefully. Always pay with PayPal. Buy from reputable buyers. Buy phones I can return without a hassle. If I buy a Samsung phone, I immediately boot into download mode to verify the software (there are counterfeits out there). The only time I have really had issues is when I sell phones. I have had buyers refuse delivery of items they agreed to purchase and buyers try to extort me. eBay has been great for me. Look for reputable sellers and sometimes gamble with a small seller. Sometimes a one time seller is safer than big scammer sellers who hide stuff and word their descriptions craftily.